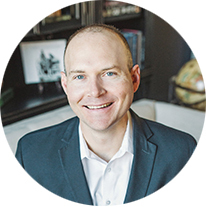 Brendan Steinhauser is co-founder and partner at Steinhauser Strategies, a public relations, government affairs, and political consulting company based in Austin, Texas. With more than a decade of experience organizing political and advocacy campaigns, Brendan has worked in 40+ states and most recently served as Senator John Cornyn's campaign manager. Prior to relocating to Texas, Brendan was the Director of Federal and State Campaigns for the Washington, D.C.-based grassroots advocacy organization, FreedomWorks.